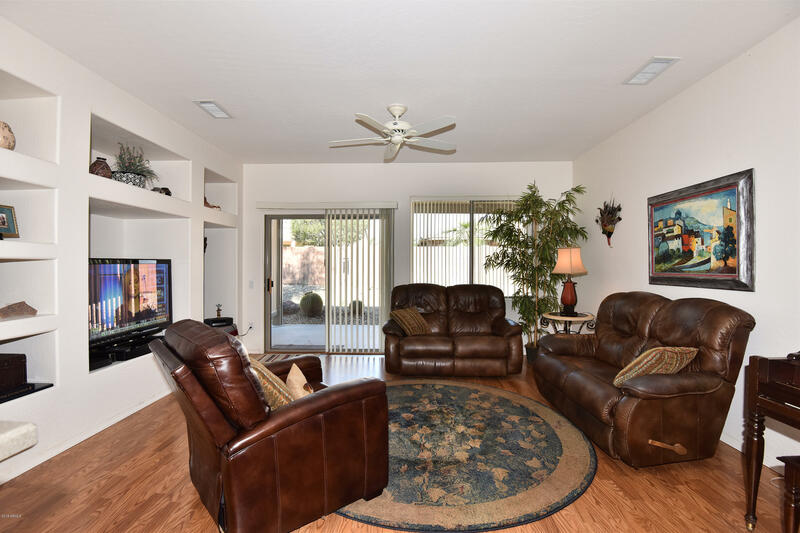 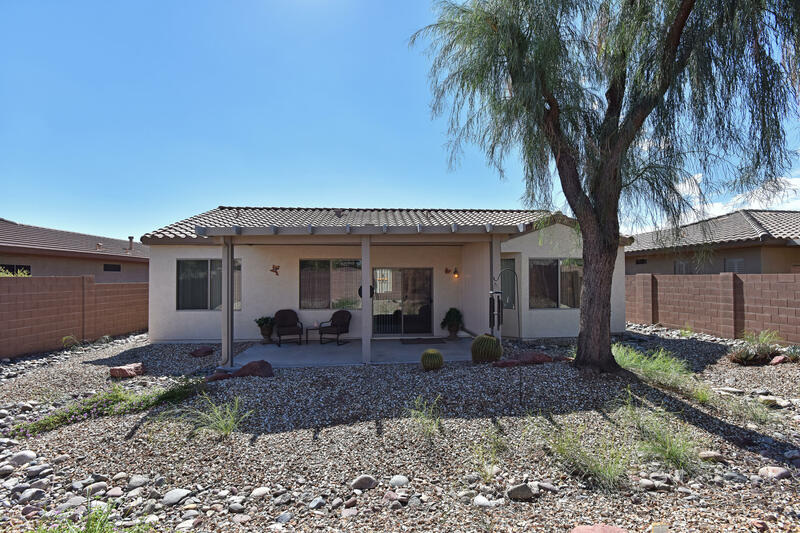 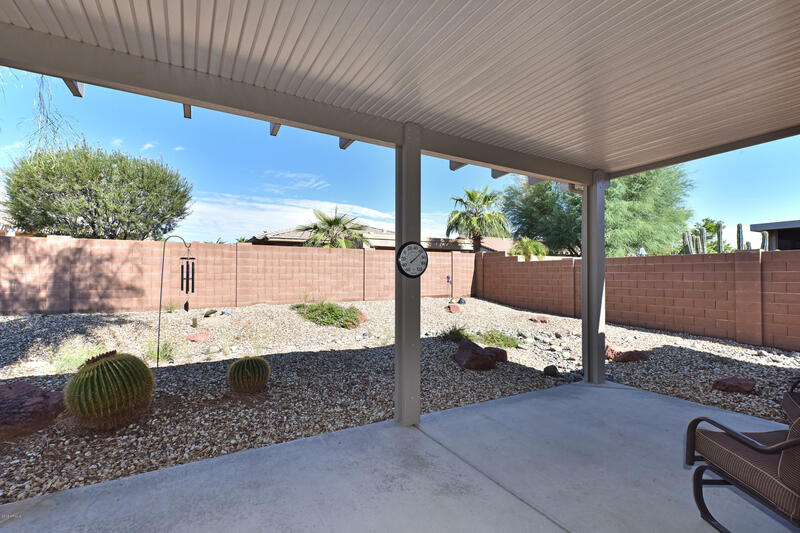 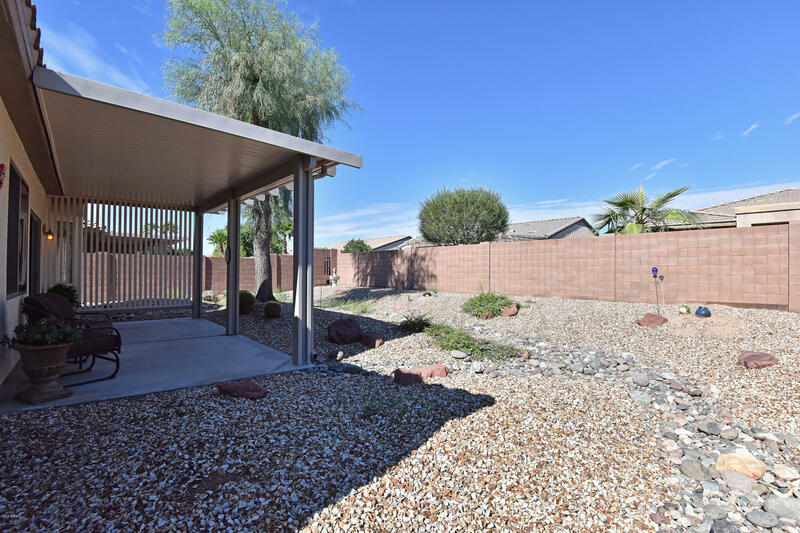 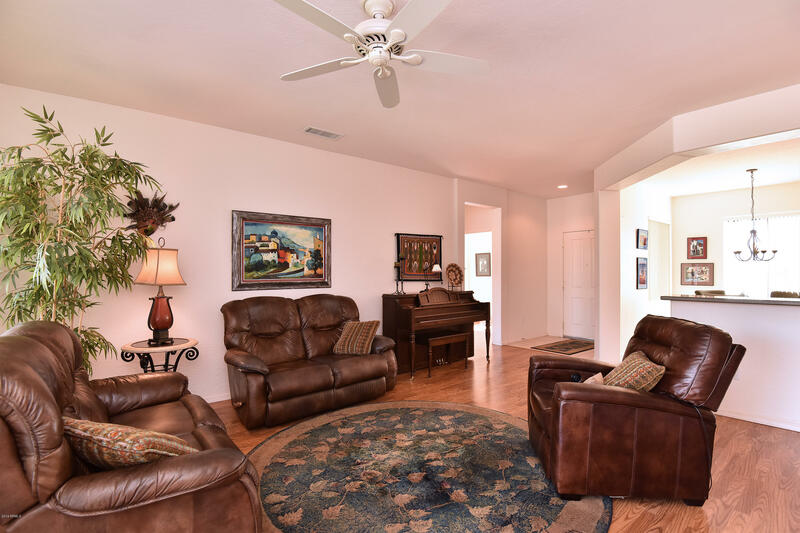 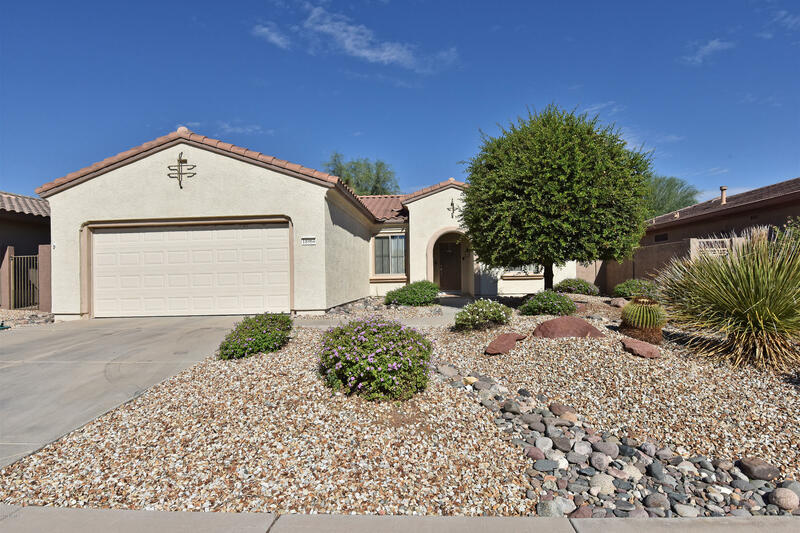 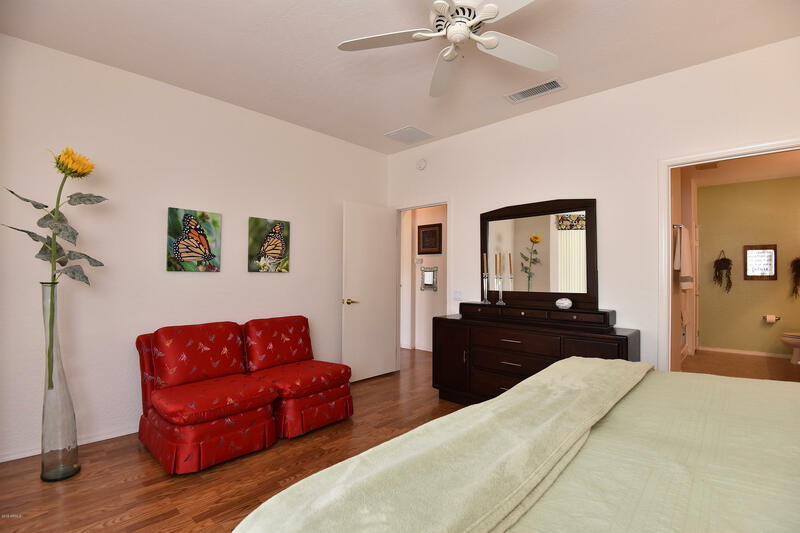 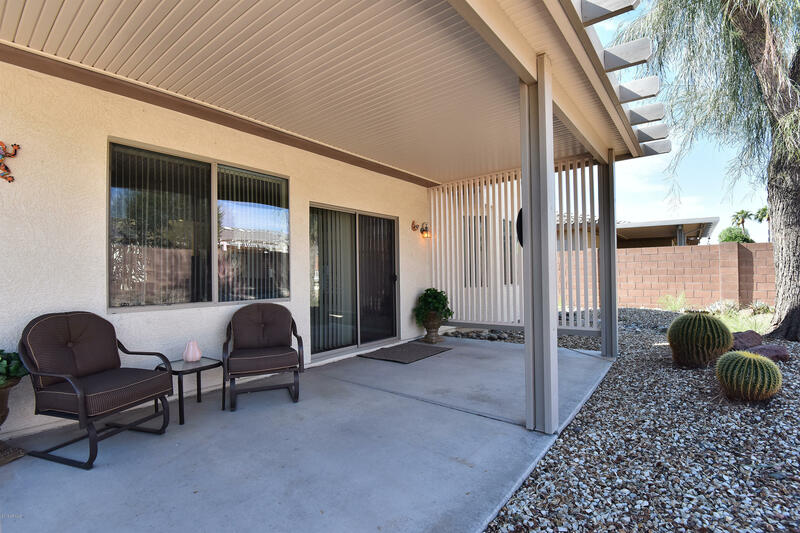 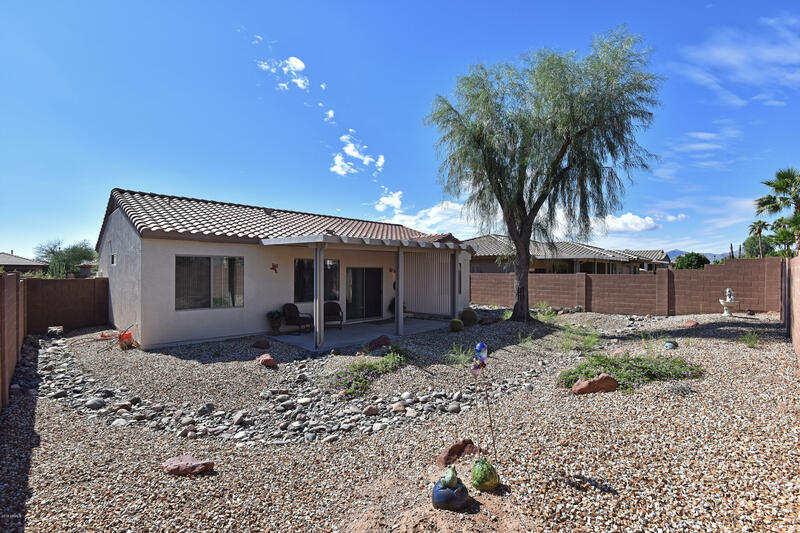 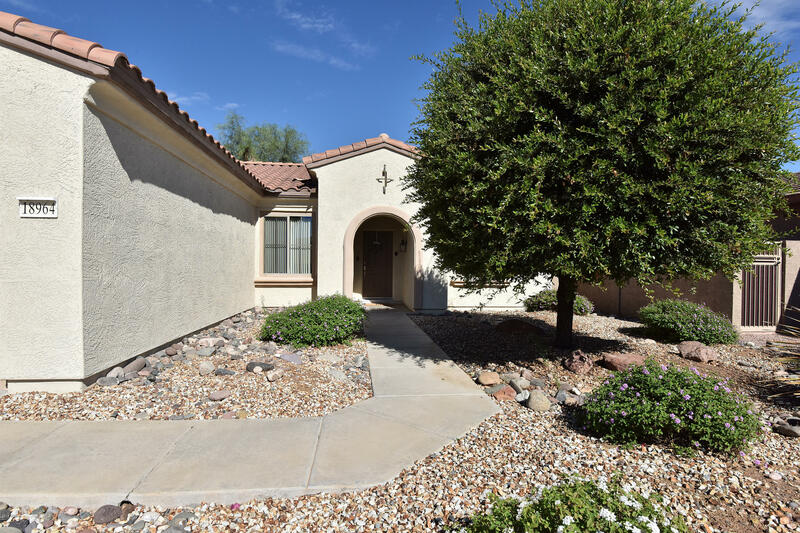 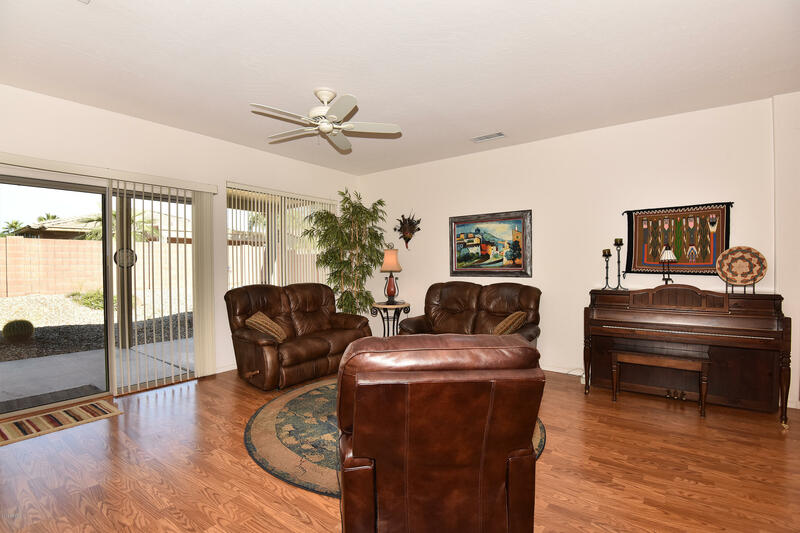 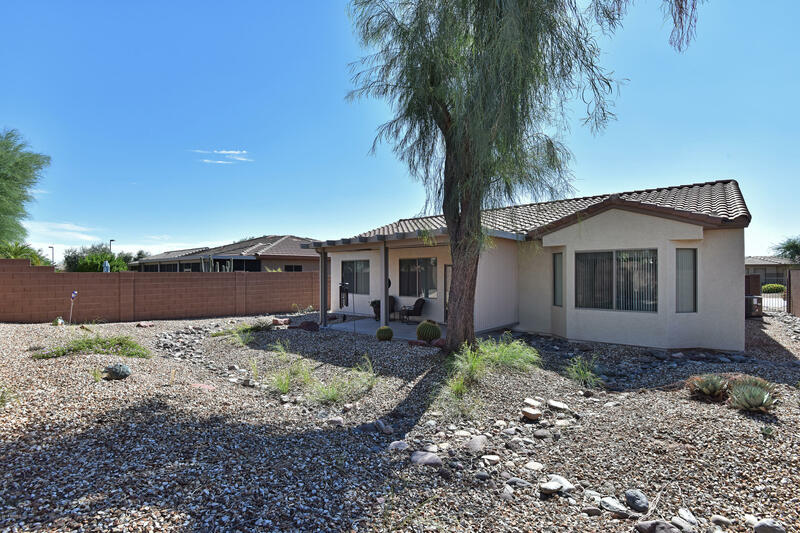 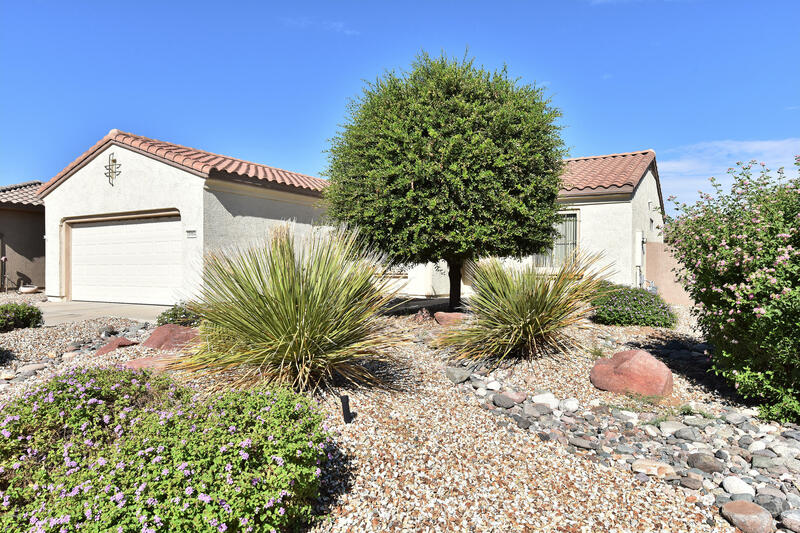 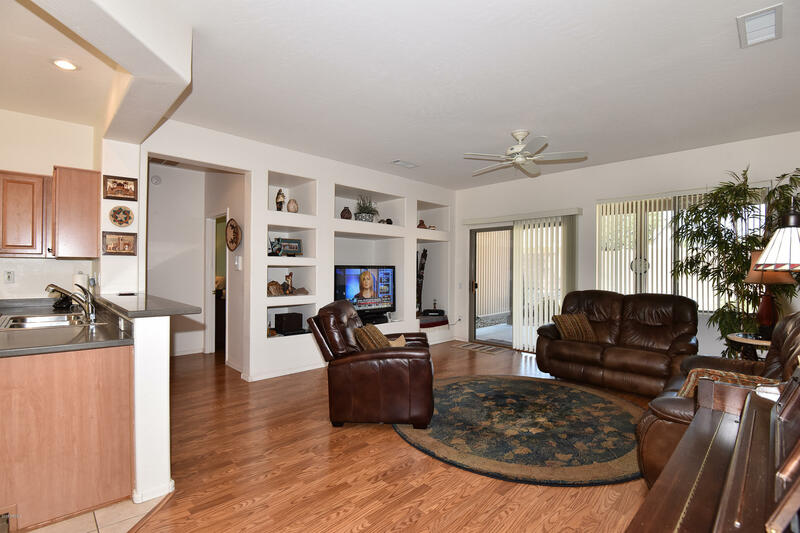 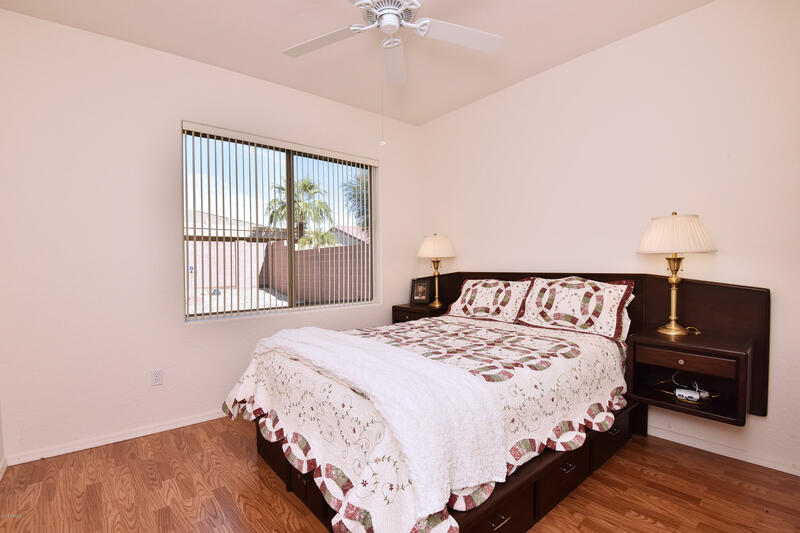 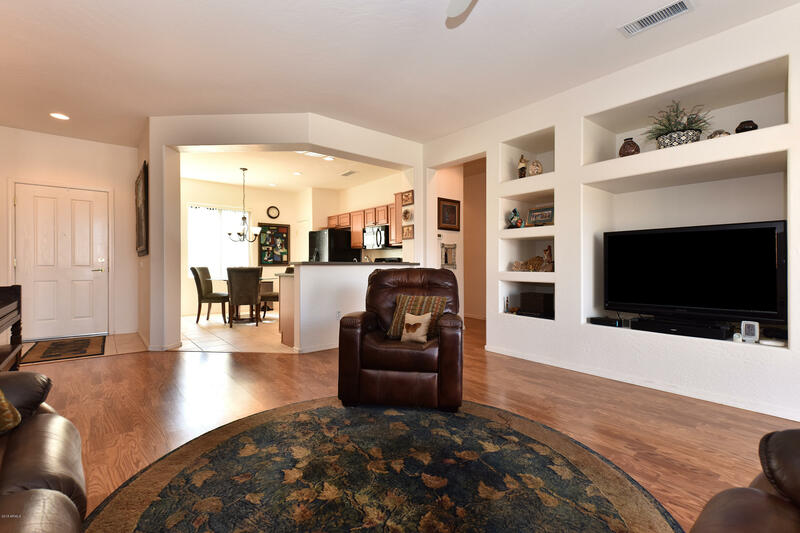 Sun City Grand Cactus Flower Model with Three Bedrooms, Sought After Split Open Great Room Floor Plan with Split Bedrooms: Master on One Side, Guest Bedrooms on Opposite Side of Home. 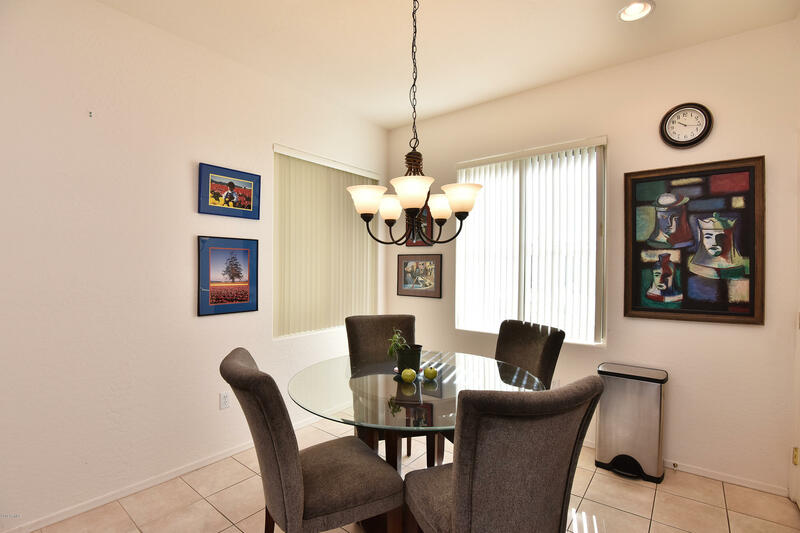 The Ambiance Of This Beautiful Light and Bright Home Just Welcomes Friends and Family. 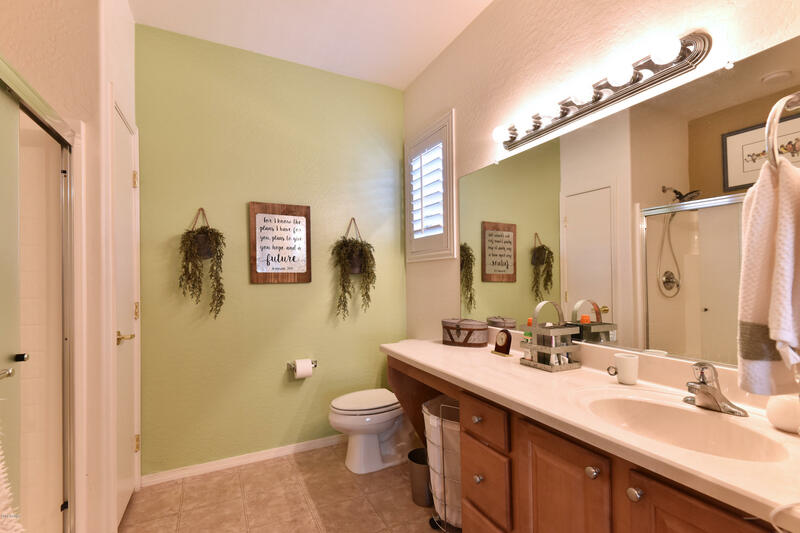 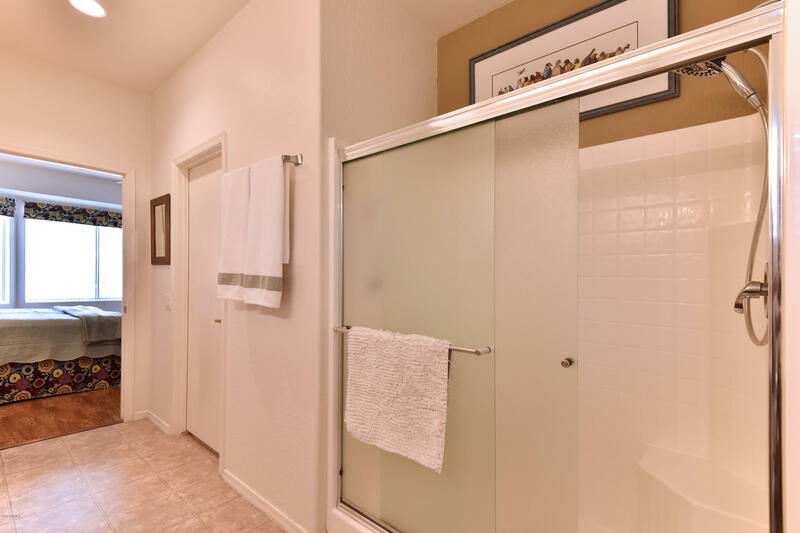 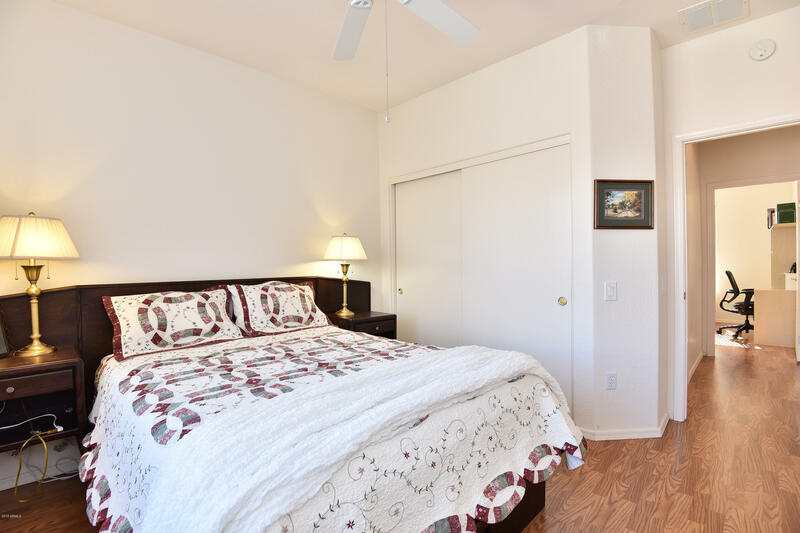 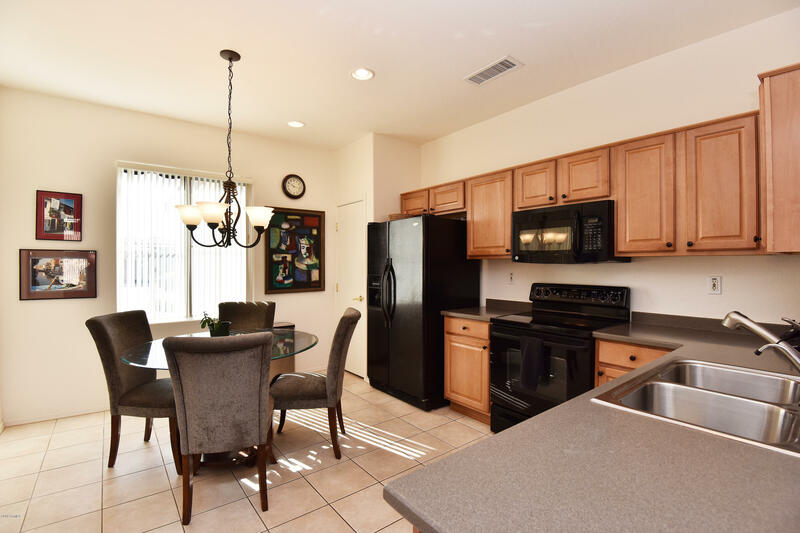 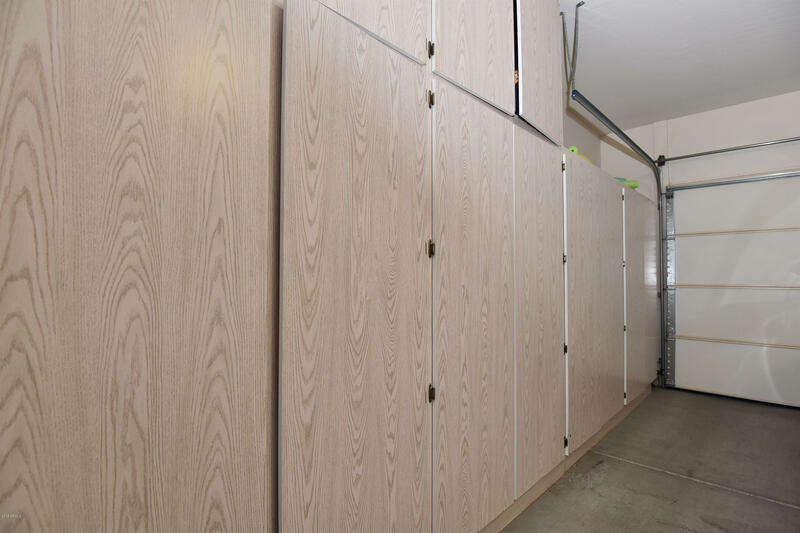 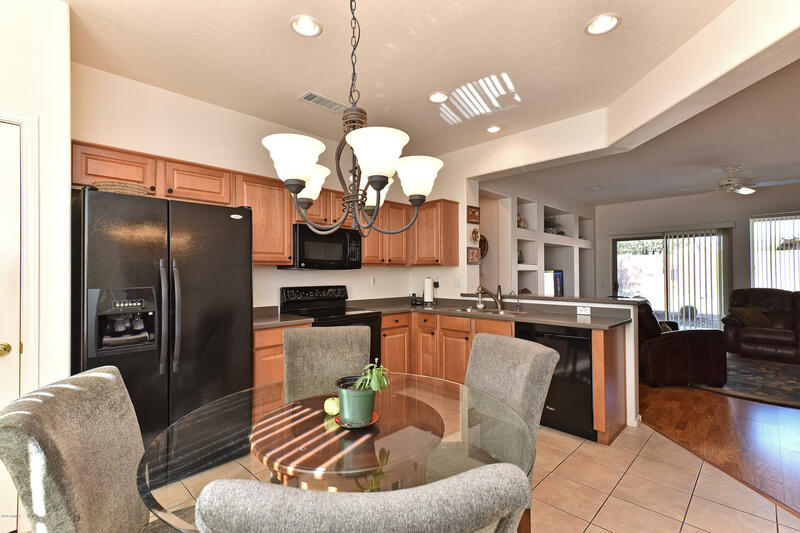 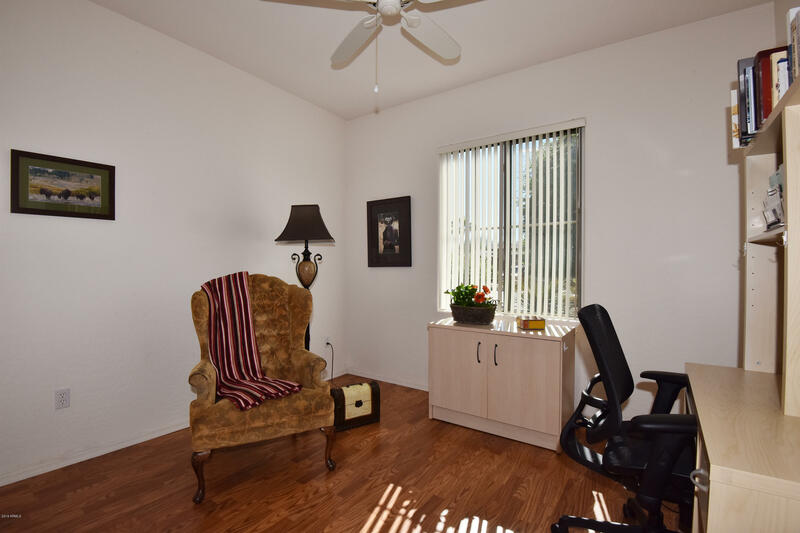 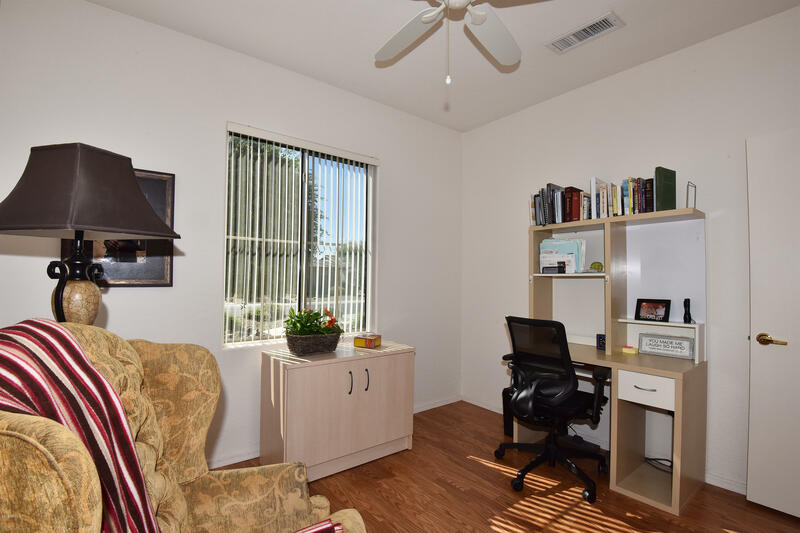 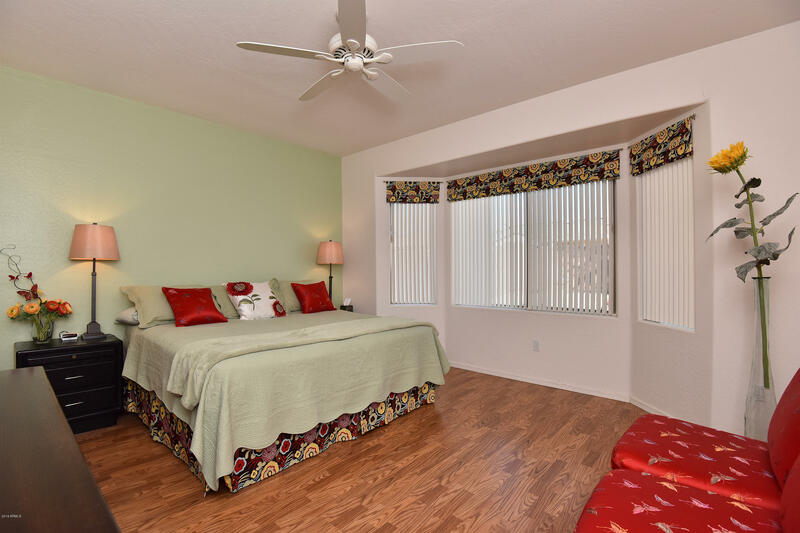 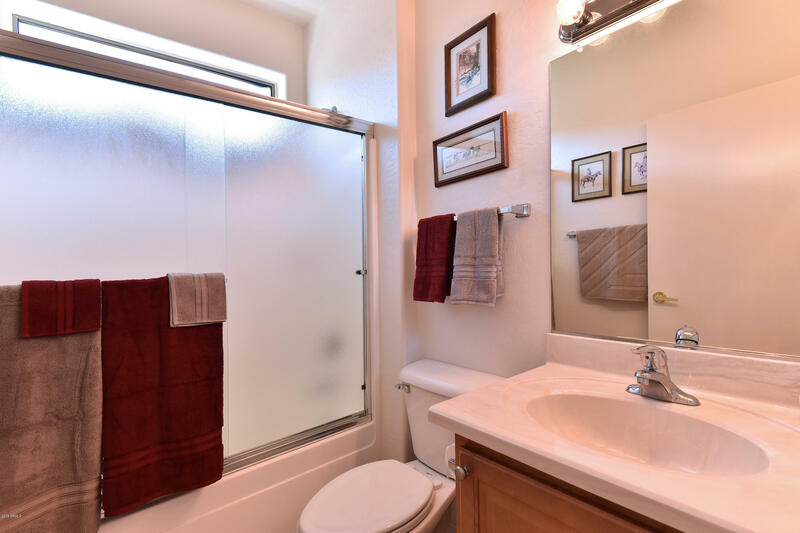 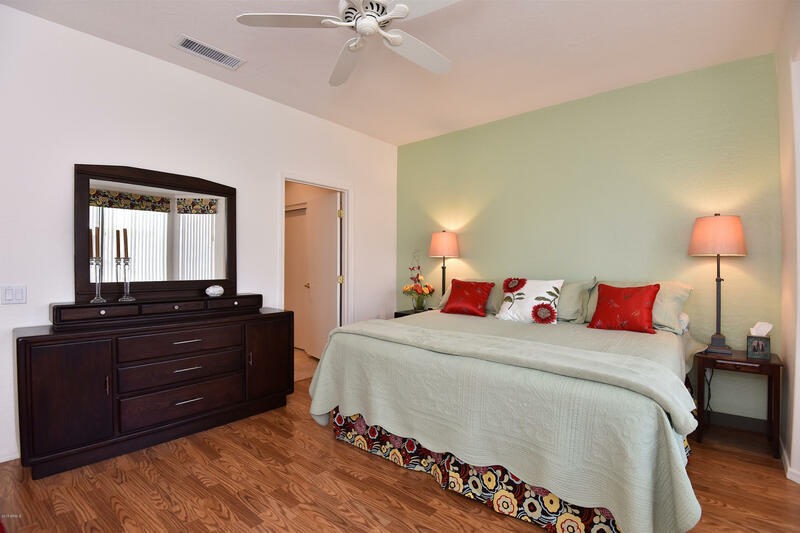 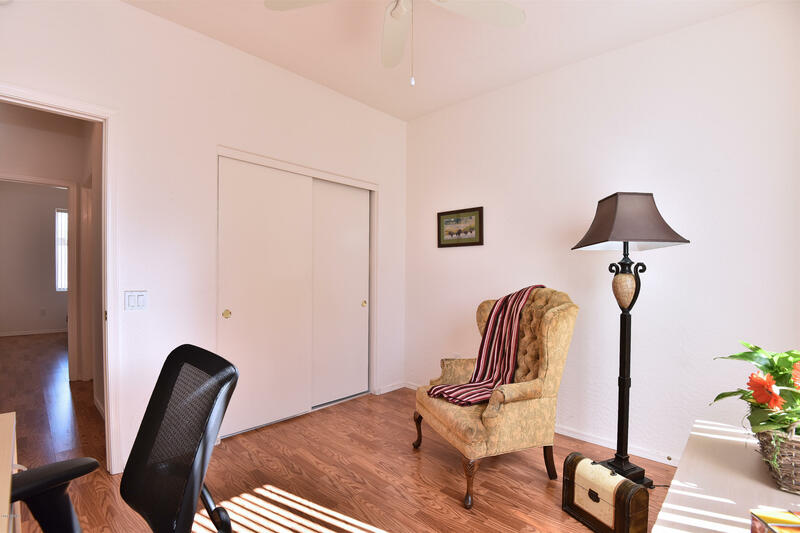 Situated In A Great Neighborhood Near Cimarron Recreation Center, This True Gem Boasts Laminate Wood Flooring For Ease Of Maintenance, Solid Surface Corian Counters, Reverse Osmosis And Extended Garage With Built-In Garage Cabinets. 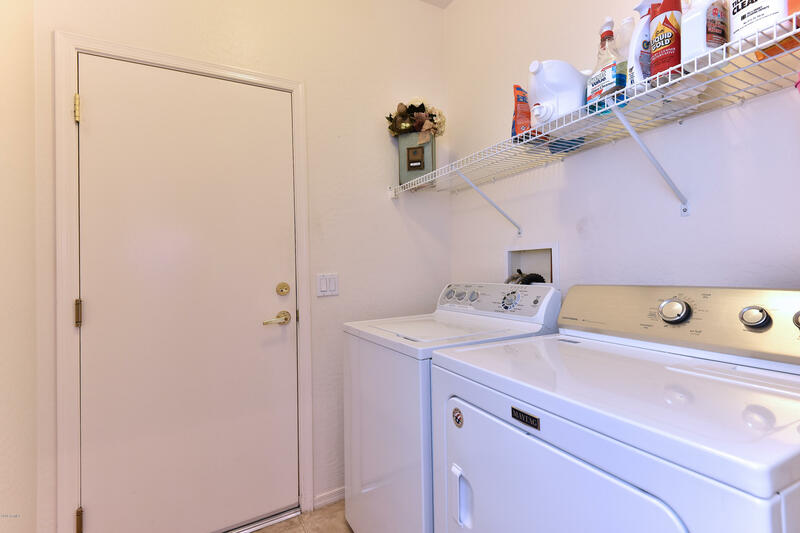 Furnace and Air Conditioner Replaced In 2015. 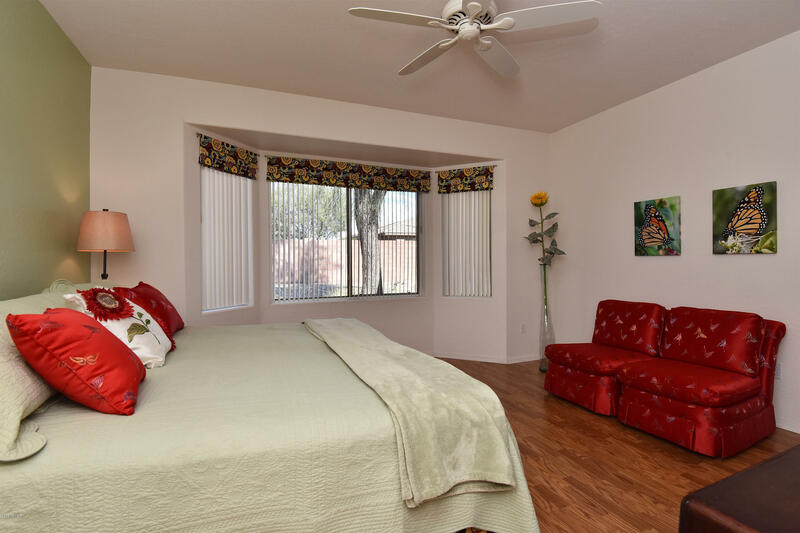 The Picturesque Bay Window In The Master Bedroom Looks Out Into The Private Yard. 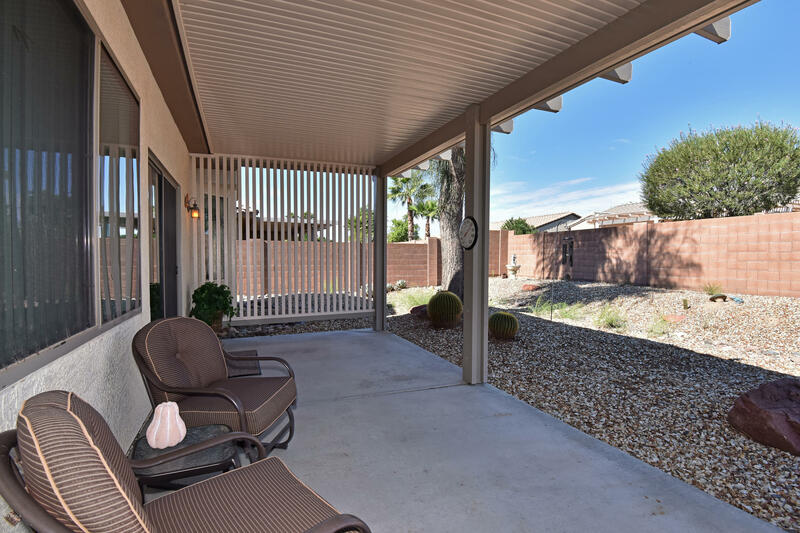 You Are Sure To Enjoy Owning This Home Entertaining or Relaxing On Your Extended Patio Overlooking Your Private Backyard, Grand Style!